Home/Consumer Guides/Location, Location & What Else Matters? Are you buying a house? Thinking from the seller’s perspective will help you focus on the property as a long-term investment. Here are some of the most important factors to consider. What’s the House’s Relationship to its Lot? Is There a Lot of Storage Room? How “Walkable” is the Community? What Kind of Character does the Neighborhood Have? When people buy a home, ironically, they tend to think too much from the buyer’s perspective. It’s important to also think about the property from the seller’s perspective – because there is a good chance you will eventually be in that position. After all, the average person moves 11.4 times during their lives, so there’s a good chance this home won’t be your final address. It’s especially important to consider the property as a long-term investment because homes are the largest purchases that most people ever make. Here are a few factors to consider as you go through the buying process. We’ve all heard that real estate truism about location, location, location. The reason it’s such an obsession of agents and brokers is that it has an extraordinary impact on value. Even if a property is otherwise incredibly unattractive, many people will want to buy it down the line if it is in the right place. What’s the Home’s Relationship to its Lot? How close is the house to the road? If you’re looking at condos, you want to think about whether it’s an interior unit or has better privacy on one of the ends. You will have more difficulty getting the price you want when you sell if a neighbor’s house is so close to you that it’s blocking your sunlight as well. Of course criminal activity is one of the first elements you want to consider in terms of your home. Like lighting and privacy, you may not priortize that aspect as much as others – but it still impacts a house’s value. Look up the crime statistics for the neighborhood. You should be able to find this information online, often through the local government’s website. Many people want to know how easy it will be for them to get around the neighborhood on foot. That’s actually become more of a concern in recent years. Again, this factor may or may not be important to you, but it drives up the home price when you sell if it’s easy to get to the school, post office, restaurants, public transit, grocery stores, and other amenities. Especially since the younger generations are less interested in purchasing cars, being within walking distance of shops and bus lines will only become more valuable in the future. Be careful about purchasing a home because it’s in the right location while oversimplifying issues with its condition. Many people have ended up in nightmares with “money pit” properties. You really want to be prepared in advance rather than assuming that you’ll be able to get the home up to your standards once you arrive. Don’t just trust the crime data. Look around and see if the character of the neighborhood makes it a place you will feel comfortable living long-term. 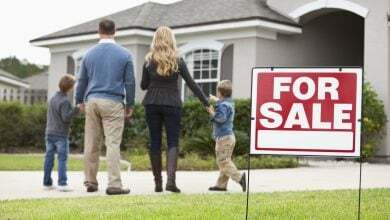 Understanding how you feel toward the area will give you a good sense of how valuable your home might be to potential buyers when you’re on the other end of the transaction. One of the best ways to really get a deeper understanding of the neighborhood is to visit and walk around at three different times of day. You don’t just want to get a sense of the people (such as how friendly the area is) but traffic density. Talk to neighbors. Is there a garage band practicing next door? Forget resale value for a moment and remember that you don’t want to be irritated from day one by loud noises or other factors. Are you getting ready to buy a new home? As you can see, there are many different factors to consider beyond price and location. 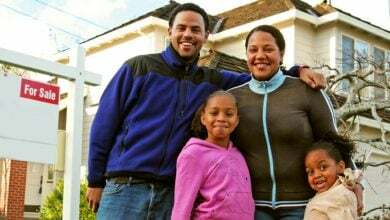 At Realty.com, we deliver information that not only shows you the properties that fit your criteria but the neighborhood & community amenities that fit your lifestyle. Find a new home now!